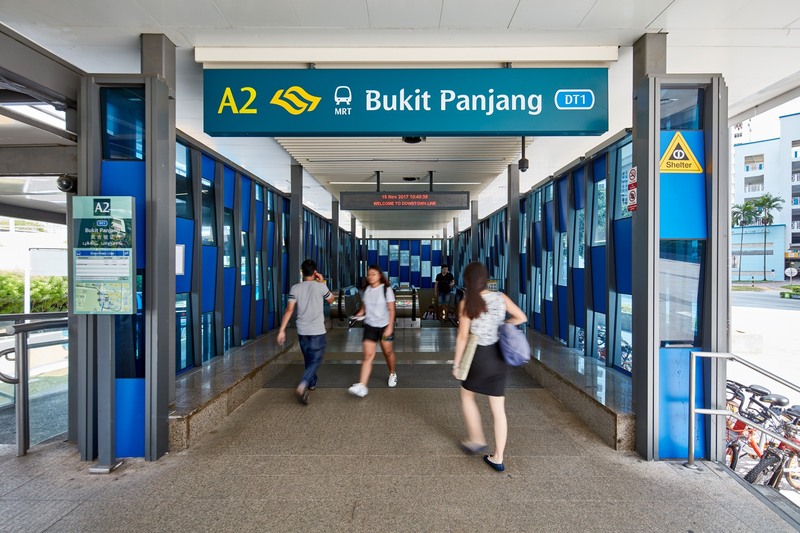 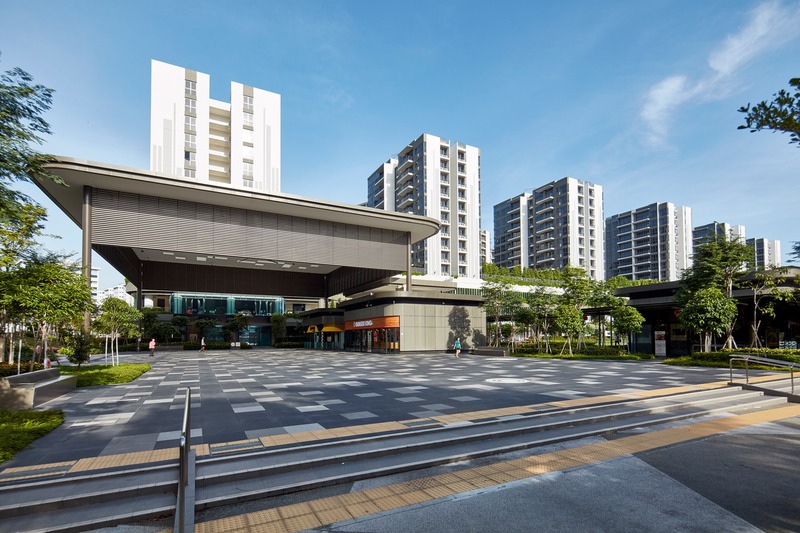 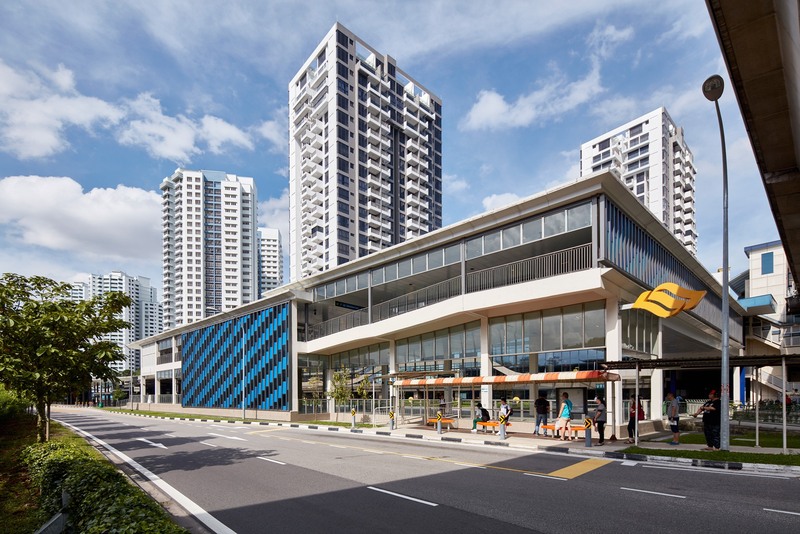 Bukit Panjang Station is located along Upper Bukit Timah Road, situated between the canal and park connector to the east and the Bukit Panjang LRT viaduct to the west. 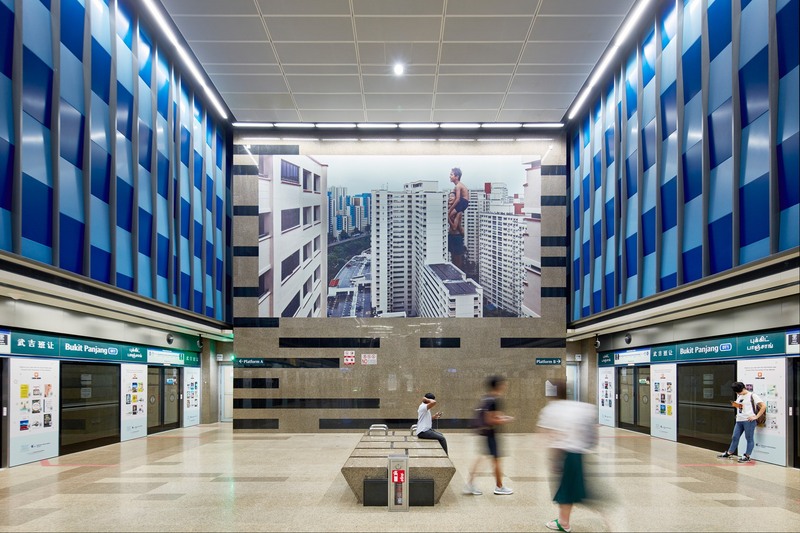 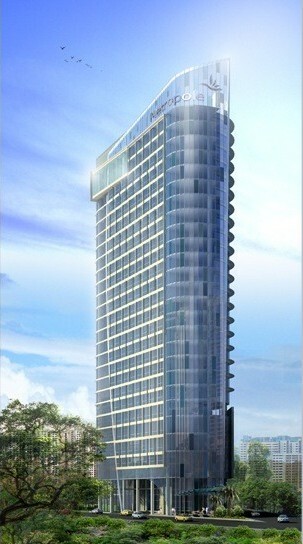 As a public transit facility, the project faces strict controls on building height, tight site and flood protection levels. The design solution is derived from putting together cues from its surrounding to create a delightful, non-intrusive cluster of structures. 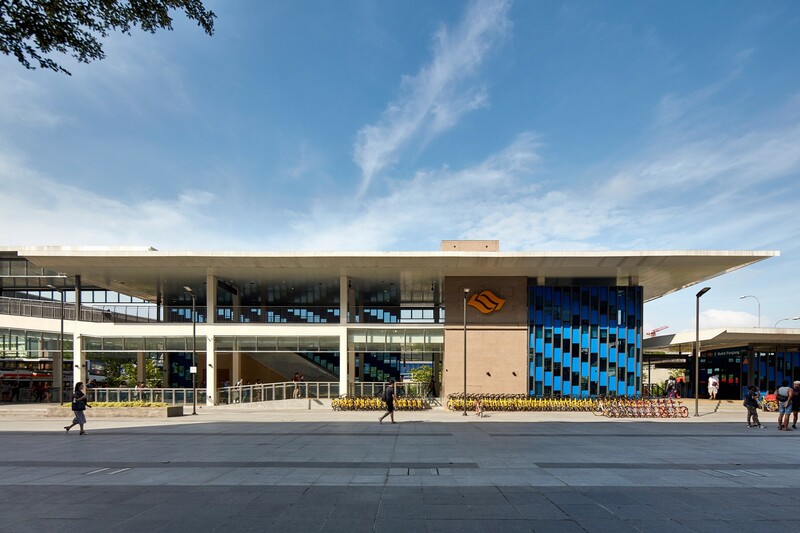 In response to the surrounding context, the entrance is designed as a “garden pavilion” with its “horizontal roof” sailed over the entrance enclosures. 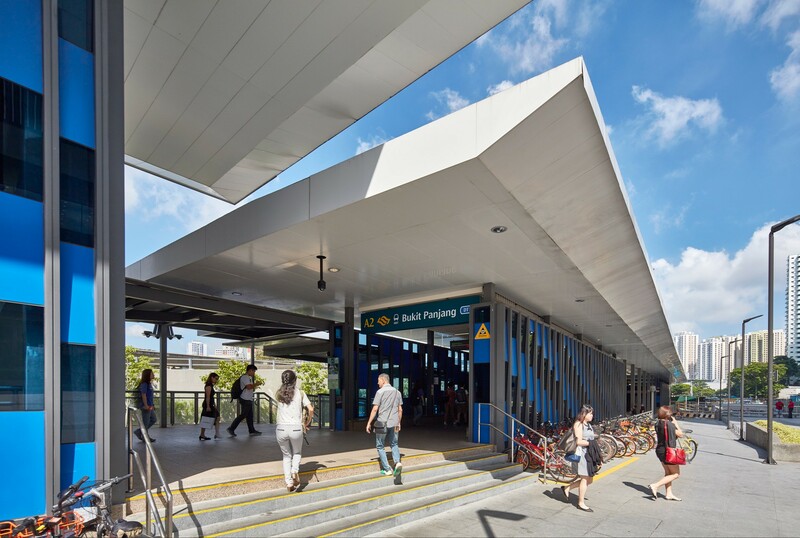 Articulated louvred screen resembles the entrance facade is used for the vent shafts to create an overall cohesive streetscape as well as screening from direct public views into the vent shafts. 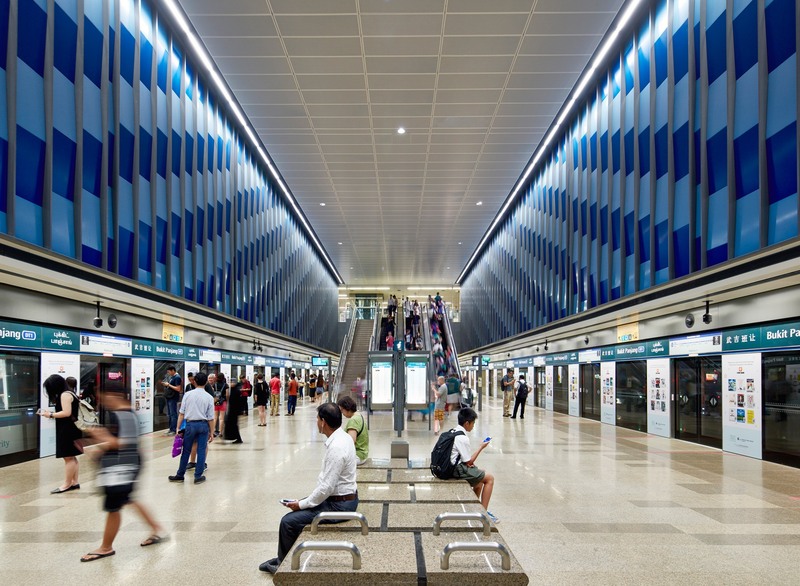 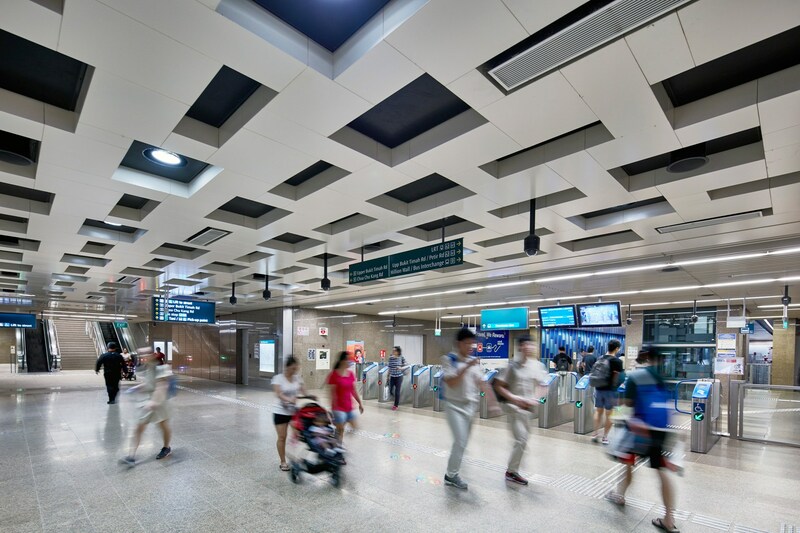 Internally, the design has been developed to meet the operational requirements of the station with its direct circulation approached as well as to create the identity of the station with its articulated feature walls blend-in with the floors finished.